The LMS-Patriot Project is seeking support from anyone who admires the Patriots and would like to see one in existence working again. If you would like to support this exciting new project we are seeking regular monthly contributions, single donations, personal fixed-term loans and commercial sponsorship. With YOUR HELP - 5551 'The Unknown Warrior' WILL become a reality! To make regular monthly payments with a Banker's Order, or a one off donation, please click here to download the Donations & Banker's Order form. Click here to download a Standing Order Mandate. If you are a UK taxpayer, we will also be able to claim Gift Aid from the Government. Please complete and sign the relevant Gift Aid section on the form, and we will do the rest. Click Here for information on tax effective giving and Gift Aid for higher rate taxpayers. Click Here for information on tax effective giving from your payroll. Click Here for information on tax effective giving for gifting shares to a charity. 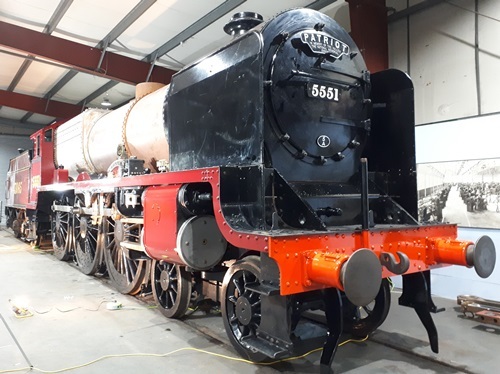 To help with the manufacture of the new boiler for 'The Unknown Warrior' - the heart of the Project - you can participate in our Boiler Appeal Loan Programme. You will receive a fixed rate of interest on your loan which will be repaid on a fixed term basis. You will also receive other benefits depending on the amount of the loan. Click here for how to get full details on the Boiler Appeal Loan Programme and how to apply. Click here for more details on the boiler construction and progress so far. The LMS-Patriot Project is also seeking commercial sponsorship. If your company would like to be involved with The LMS-Patriot Project in any way or if you would like to discuss commercial sponsorship, please click here to contact us. Cambrian Transport Ltd. were our first commercial sponsor and have kindly donated three cast brass 'The Unknown Warrior' nameplates, superbly manufactured by Newton Replicas. We received sponsorship of our Appeal leaflet from the Stafford Railway Building Society in the early days of the Project. Andrew Kennedy from Oakwood Visuals has also sponsored the making of a fundraising video that is on the internet and a documentary of the Project detailing the entire process of building a new 'Patriot'. 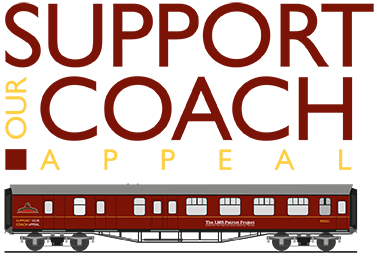 In 2013, Bromborough Paints provided major sponsorship including a donation of paint for the loco frames and driving wheels. Bromborough Paints proprietor, Neville Wellings, has continued his generous support of the Project and is our largest benefactor to date. Morris lubricants made a generous donation towards the bogie. And at the 2013 Warley National Model Railway Exhibition, we announced links with Bachmann Europe plc, who will be producing OO scale models of 'The Unknown Warrior'. A bequest in your Will is one of the more traditional forms of giving to charity but remains a very important one. A bequest to charity means you can make a planned gift to a charity you care about, whilst ensuring dependents are provided for. Charitable legacies are paid before tax is deducted, reducing the total amount of inheritance tax due from your estate. You can either name a particular charity in your Will or leave a sum of money to the executors with instructions as to how and to whom the sum is to be distributed. If you have a lawyer or solicitor, they should be able to provide you with information on how charitable legacies can be incorporated in your Will. To make or amend a Will you should contact your solicitor or a Will writing service. The LMS-Patriot Project has joined up with SGC Solicitors who can for around £50 + VAT prepare a new single will. SGC Solicitors can be contacted at: 25 Derby Road, Long Eaton, Nottingham, NG10 1NA. Please mention The LMS-Patriot Project when making an enquiry with SGC Solicitors. Click Here for information on leaving money to a charity in a will. The LMS-Patriot Project is looking for a number of volunteers to help in various ways. If you would like to know more, please look at our volunteering information section.